With the high costs associated with the ownership and operation of modern farm machinery, many farm businesses have chosen to rationalise. Selling certain items of machinery will free up capital, labour and reduce depreciation. The wide range of suppliers available through the ring means even peak season demands can still be met. 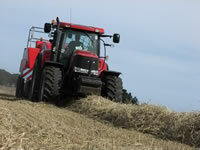 We also have access to fleet deals on a range of vehicles and tractors.